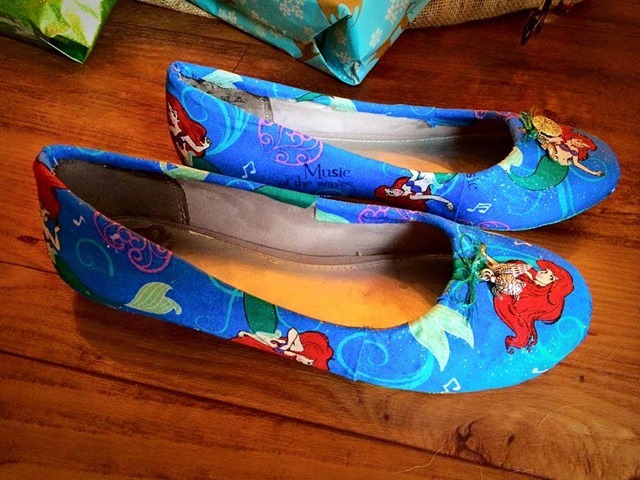 Always Wanted A Pair of Custom Disney Shoes? Learn How To Do It Yourself! I have shown numerous custom Disney shoes on my Disney Fashionista FB page. The cost of these shoes has ranged drastically depending on who does them and how they are done. Many of you have shown a lot of interest in them and have been kinda bummed that they can be so pricey. I had a fan of the page share her talents with me and I was floored at how awesome and how cost effective these shoes were. I asked her to share her talent with me so I could share it with you. Melissa was gracious enough to do just that. 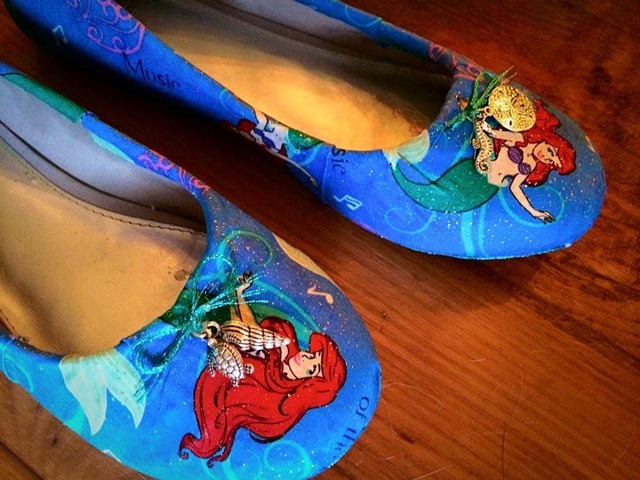 So let’s take a look at the step by step process of making your own custom Disney shoes! The shoes that Melissa used had lace on them and that needed to be removed first. Per her instruction, chose a pair without that extra level of work and go for something lace free. It’s just one extra step you don’t need to have. First off, you should start at the tops/tips of the shoe. This is what takes the most work, to fit and cut inside to allow the fabric to round out the shoe. You are simply covering the shoe with mod podge as well as the fabric, and then layering the fabric and folding over and continuing to glue. If you need to go back over the stubborn pieces of fabric with a glue gun on the inside of the shoe to help keep it down, you can. Once you get the fabric in place, you can trim the excess off with the x-acto knife. Continue to fold over the pieces of fabric and try to match for a clean look on the pieces that are on top. Then you smooth out the fabric with your fingers. Prepare for sticky fingers!!! It’s suggested to wait for sections of the fabric to dry fully (approximately 2 hours) before adding additional pieces of fabric for full coverage. To make the edges look finished, after you’ve trimmed the excess fabric, you can trim the base of the shoe with fine embroidery thread that matches one of the colors in your fabric. 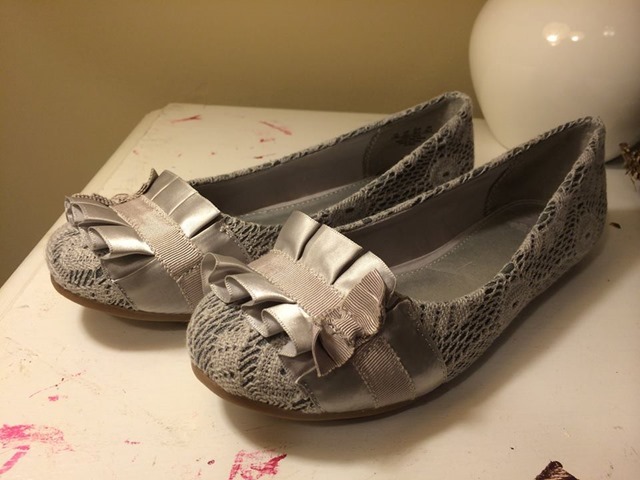 Melissa chose to use this fabric to also add little charms ion the top of each shoe which I think are charming. If you don’t want to take that extra step, it is clearly a personal preference. Whatever you do to make your shoes your own will be fabulous! Once the shoes are completely dry and set, you can use the laquer or water proofing spray to help seal the shoes. The total time of work takes approximately 6-8 hours, not including glue dry time. This is most definitely a labor of love. The good news, in Melissa’s case, the total cost of the shoes, fabric, Mod Podge, x-acto knife, glue gun, embroidery thread and 4 charms totaled $39!!! That is an incredible savings from the ones you can purchase online. If you are at all crafty, or interested in trying to be crafty, this might be the way to go for you! This is clearly a trial and error type of project but I think the end product is well worth it. This was the first pair that Melissa made and I think they look incredible! 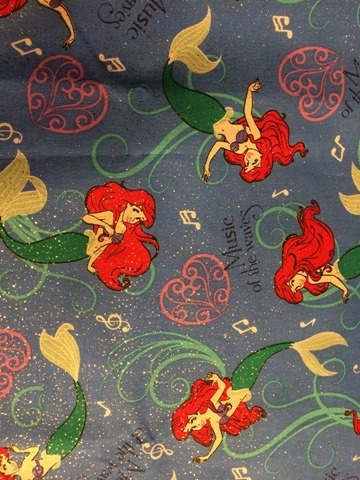 I want to thank Disney Fashionista reader, Melissa, again for sharing her incredible knowledge and talent. I hope this helps you all, if you have ever considered making your own shoes or even wondered how you go about it. Did this help you in your endeavor to have custom made Disney shoes? Share your DIY Disney shoes in the comment section below! It’s not as fancy, but for our last trip to Disney, I made shoes for my then 2- and 5-year old boys. I got cheap slip-on black shoes from Walmart, then used red fabric paint pens to draw large plain red mickey heads on the top front and small ones on the left and right (outsides) near the heels. I used a paper mickey head to trace around with a pencil to make sure my placement was good, then filled in my pencil marks with paint. I needed 2 layers of paint to make the red bright against the black background. It only took about half an hour (not including the wait to wait for each layer to dry). It wasn’t too girly or flashy, and they loved the shoes so much and wore them out at school after the trip. That’s awesome! I bet they looked great and as long as the kids loved them, who cares if they weren’t as fancy! Thanks for sharing your story! I knew my 3-year-old would want a new pair for this fall’s trip, but my 7-year-old declared that he’s not too old for new mom-made mickey shoes.